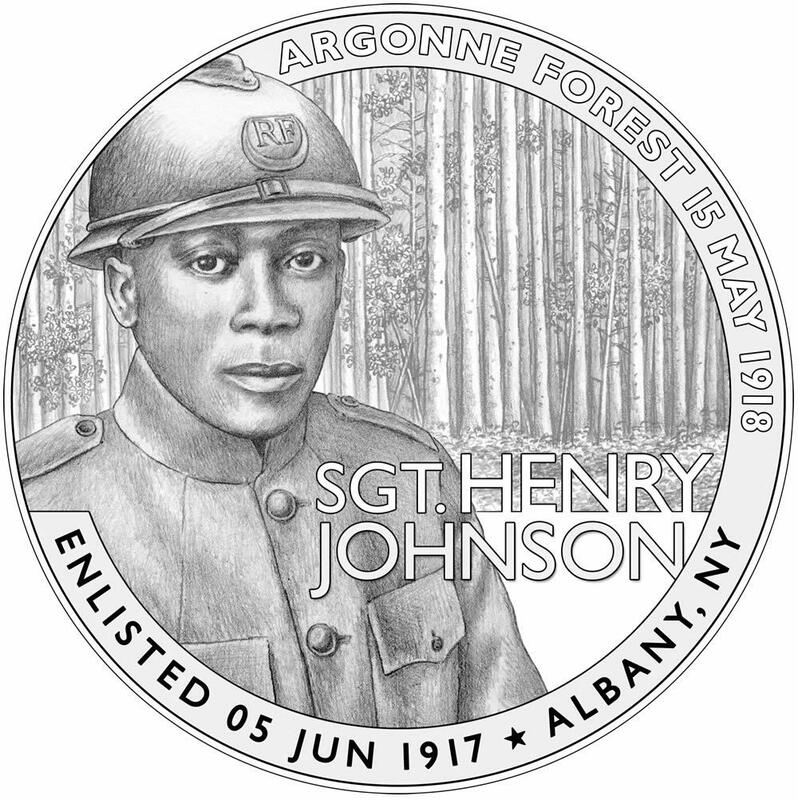 It was 100 years this week -- Tuesday, specifically -- that Henry Johnson, serving in France with the famed Harlem Hellfighters, fought off a surprise German attack of at least 12 soldiers and saved a fellow American soldier, all while being wounded multiple times. Upon his return to the United States he was initially hailed as a hero. But he was later marginalized after speaking out about the racism African-Americans faced in the military. Unable to work because of his war injuries, Johnson's personal life crumbled and he died in 1929 while still in his 30s. He's buried in Arlington National Cemetery. In 2015 Johnson was posthumously awarded the Medal of Honor during a ceremony at the White House. * One more bit about Chris Costello, the designer: He also designed the Papyrus typeface. It looks like a fine medallion- but in addition to the 500 in silver, might there be a further edition in bronze or pewter? Ferris Coin Co. are my clients and I've been working with them on this project. We have discussed the possibility of doing an antique brass version at some point in the future. Not sure if that will happen. But it definitely won't happen unless / until the silver rounds are sold out. The good news is... these are going to be priced to sell (probably somewhere in the range of $30). Great to see the designer got the French Army 'adrian' helmet right. The 369th Infantry Regiment, a black unit, was assigned to the French army because we were even more racist back in those days.